Dex is designed for professionals on the move. 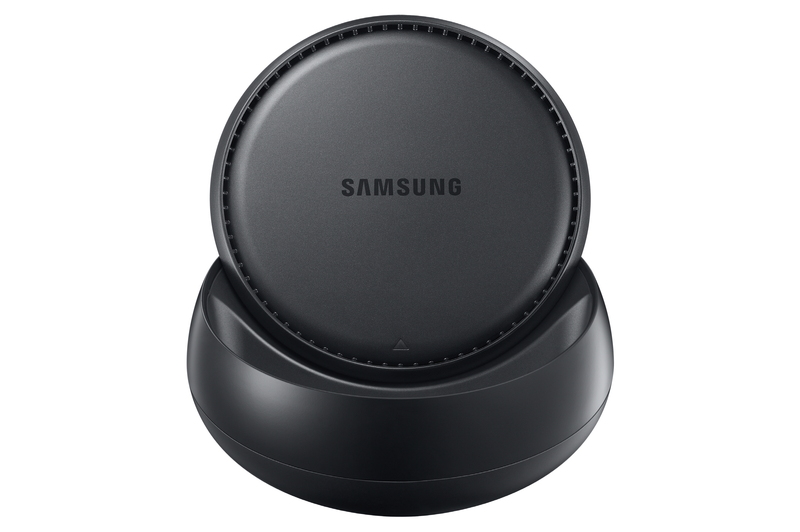 It allows your Galaxy S8 to connect to a mouse, keyboard, and monitor to turn your phone into a desktop so you can get work done without carrying around a laptop. There are challenges to the technology like having a spare keyboard, mouse, and monitor, but the future of this technology has us excited. 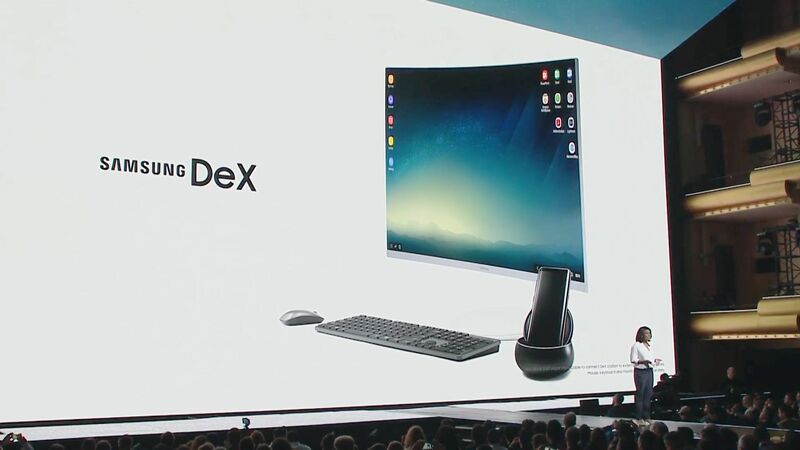 Samsung presentation of Dex, while brief, was pretty informative. Once you log in, your Android desktop will appear. You’ll be able to run select apps that are compatible with Dex. 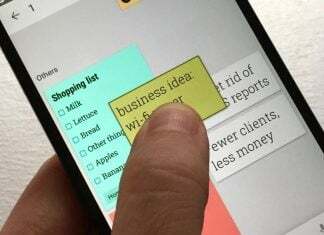 Companies like Microsoft and Adobe have already started working with Samsung to make their apps available because sometimes it’s just a lot easier to type with a physical keyboard rather than your virtual keyboard. Some of you may be too young to remember this but the original Apple iPhone launched with 4GB of internal storage. Now, our operating systems eclipse that. With facts like that in mind, Samsung upped the base onboard storage of the Samsung Galaxy S8 to 64GB. Sure, you can get by on 32GB but for those who tend to load movies on their devices or shoot in 4K, that space fills up quickly. Not only will you have 64GB of onboard storage, but expandable storage comes back this year too. The microSD card slot will handle cards up to 256GB giving you a theoretical max of over 300GB to do with what you please on your phone. I have a 256GB micro SD card in my phone right now loaded down with a ton of movies and cartoons. Guess whose phone my daughter likes to play with. I can’t wait to play with the Samsung Galaxy S8 because of how cool it looks. Yeah, I’m fangirl-ing out a little bit right now, but it looks so cool. The new Infinity Display is an 18:9 2960×1440 Super AMOLED display. 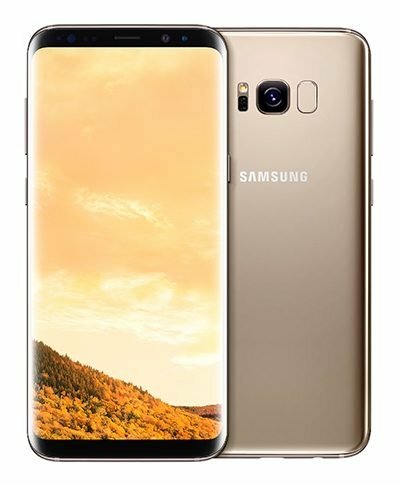 It comes in 5.8″ on the S8 and 6.2″ on the S8 Plus. Yeah, they sound huge but when you take into consideration that the display covers 84% of the front of the phone, it doesn’t sound too bad. Both sides of the Infinity Display will be curved and that goes for both models. No more flat Galaxies. The display seems to melt over the side of the phone and blend perfectly with the aluminum it connects to. I’m a bit worried about functionality as I had some issues holding and swiping on the Samsung Galaxy S7 Edge last year, but we’ll see once we get our hands on. The Samsung Galaxy S7 last year shipped with a micro USB connector and I was extremely disappointed by that. I can understand why Samsung did it (functionality with Gear VR is what I’ve been told) but I was disappointed none-the-less. But this year, we finally get USB type-C and the awesome features like reversible connectors! This is such a great quality of life improvement. To make room for the brand new Infinity Display, Samsung had to ditch its hardware buttons. 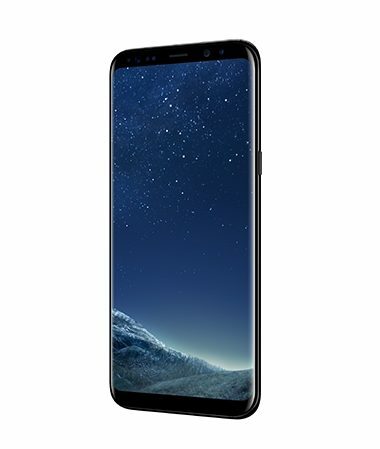 Samsung was one of the only major OEMs that continued to put hardware buttons on its phones so while some will mourn their loss, others will rejoice by the innovative way that Samsung has implemented its navigation on the S8 and S8 Plus. At the bottom of the screen is what’s being described as an “always on” home button. The bottom of the screen is pressure sensitive so even if your software home button isn’t being displayed because you’re in a fullscreen app, you can still press the area to return to the home screen. In addition to the always-on home button, you can also choose which side your back and multitasking window buttons will reside on. Samsung has (rightly) gotten stick for having its buttons backward (back button on the right of the home button) but it will now allow you to decide where you want that back button in a settings menu. 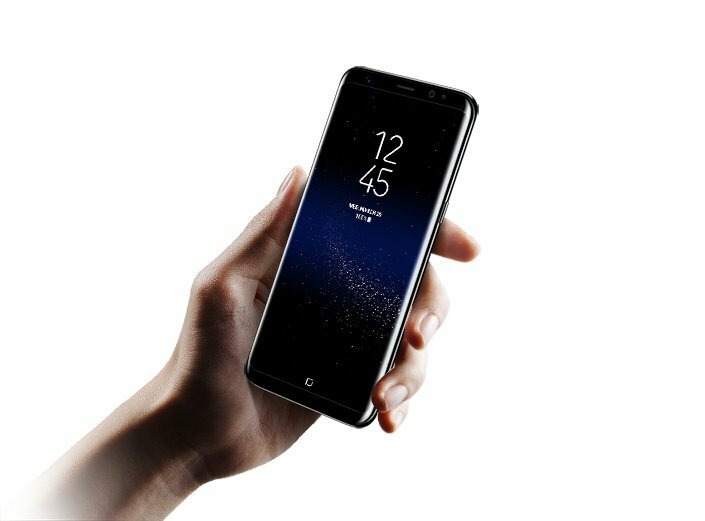 This is a welcome change that shows Samsung is listening to its customers. The final new navigational feature is a dedicated Bixby button. Bixby is the new Assistant exclusively on Samsung’s new S8 and S8 Plus. With a press of the hardware button the side of the device, Bixby will launch and Samsung states that anything you can do with a touch, you can tell Bixby to do. That’s a pretty bold claim, but if it pans out, this could be a game changer. Note: If you choose the Tweet option, you may have to remove the last URL at the end of the tweet. This error is causing the tweets to be too long.